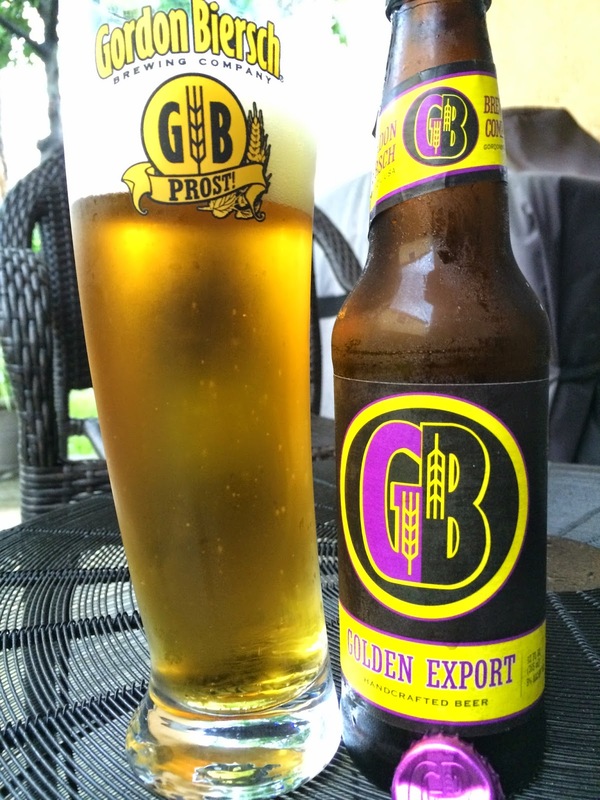 I was recently sent samples of Gordon Biersch Golden Export to check out. Actually, six Golden Export siblings and six different cousins to be exact. 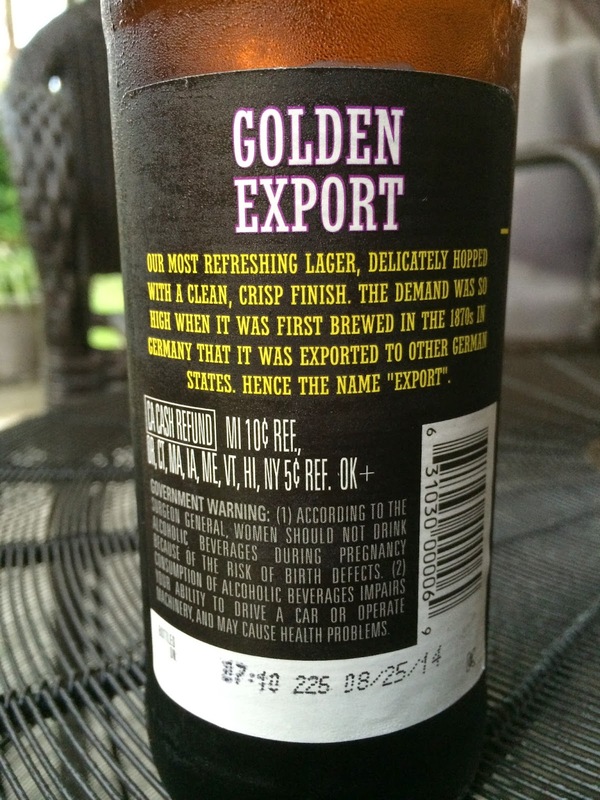 But the focus is on Golden Export, named because it was exported to other German states back in the 1870's due to its popularity. The story on the back of the bottle will tell you that and set your expectations. 5% alcohol. Bottled On 08/25/14. I grabbed my Gordon Biersch "crooked glass" for this tasting. Lemony, hoppy, fruity aroma. Sweet grain shows through first in the flavors. Toasted fresh bread. The hops definitely show through with a grassy, lemony bitter balance. Flavorful, simple. I already drank the other five (yes, on a different day), so you know it's a decent beer (I give all my crappy extras to Ed Roberts for his dad). This was my last chance bottle for pictures and thoughts. Check it out.